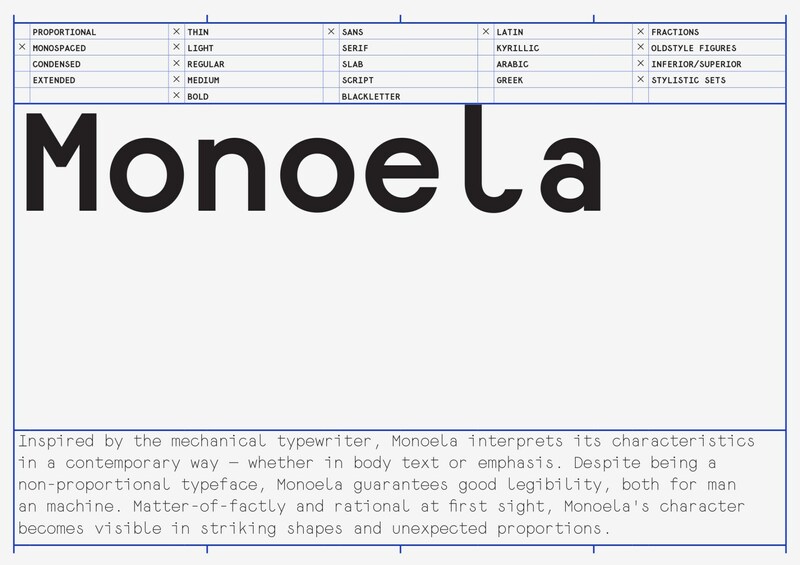 Inspired by the mechanical typewriter, Monoela interprets its characteristics in a contemporary way — whether in body text or emphasis. 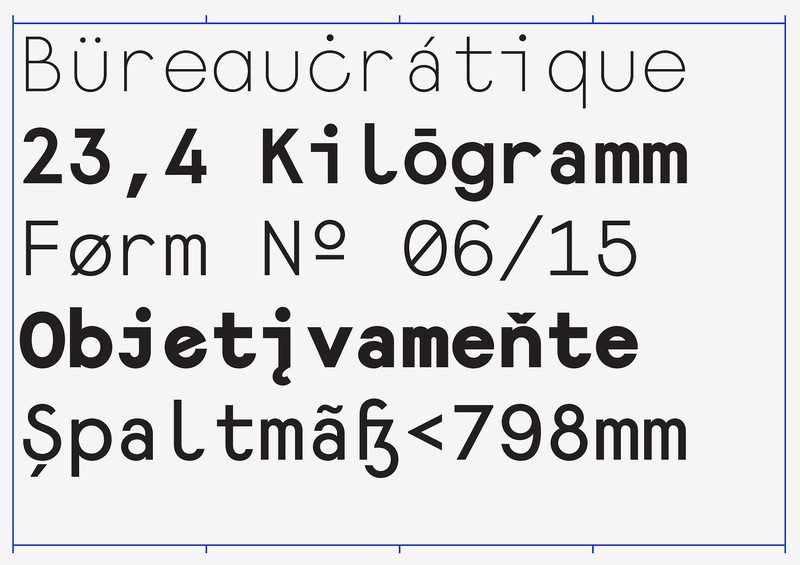 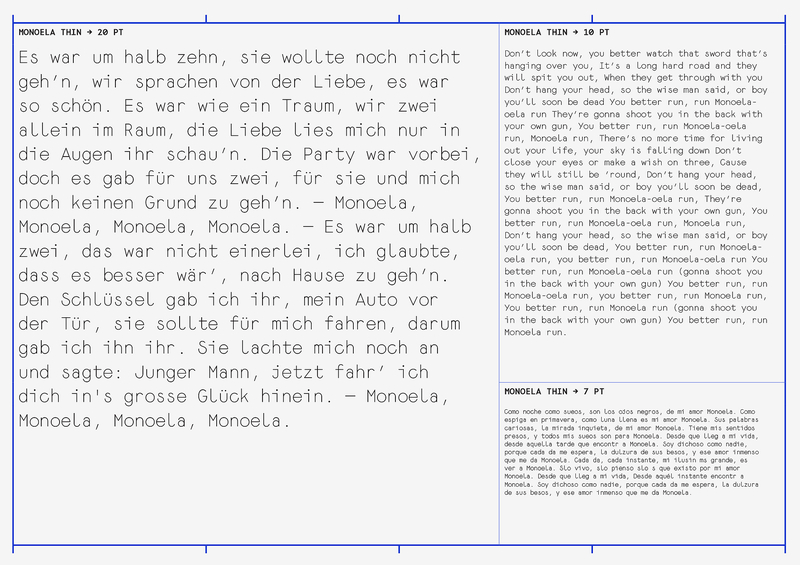 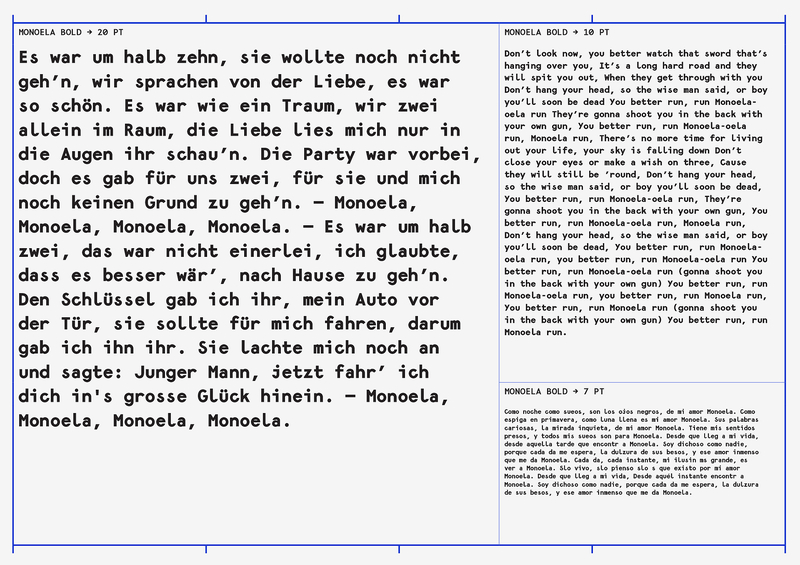 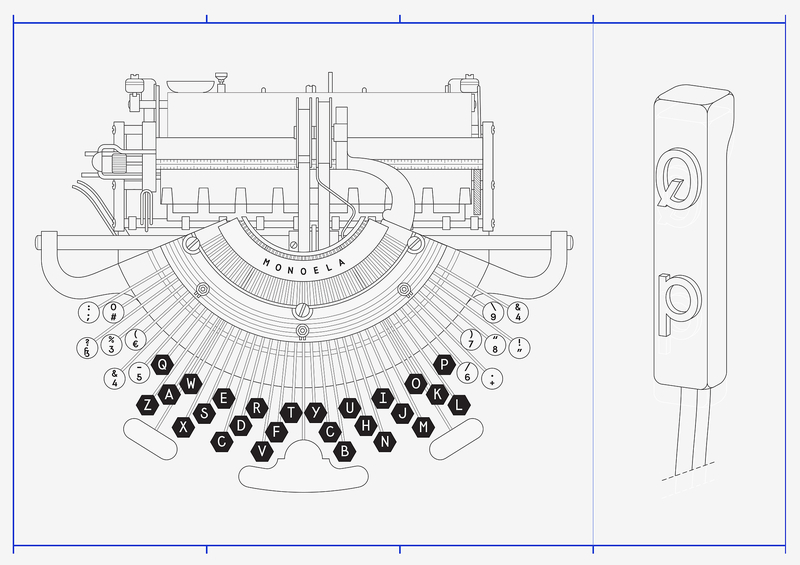 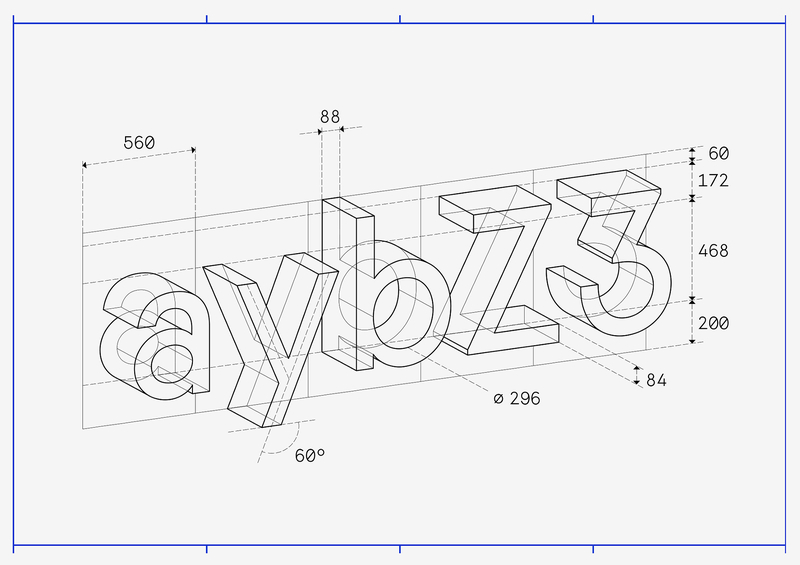 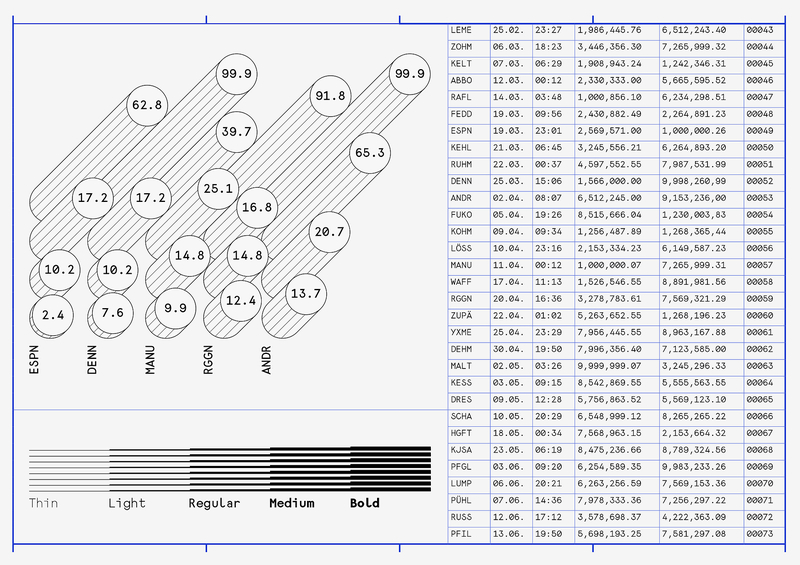 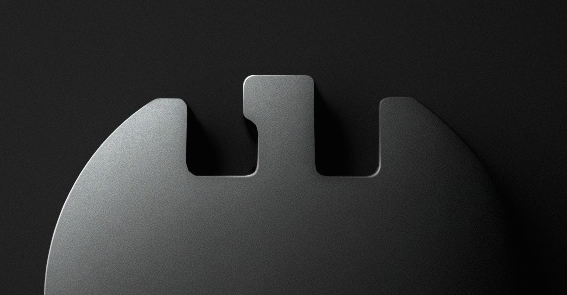 Despite being a non-proportional typeface, Monoela guarantees good legibility, both for man an machine. 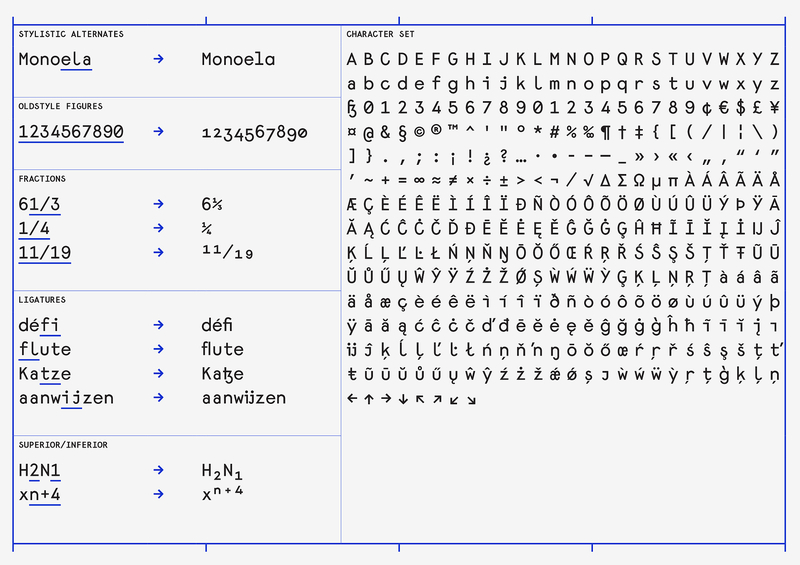 Matter-of-factly and rational at first sight, Monoela’s character becomes visible in striking shapes and unexpected proportions.